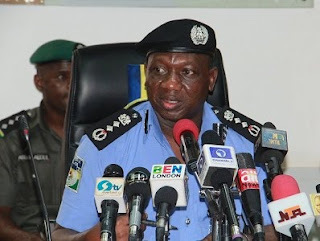 A Liberty Television journalist, Aminu Nurudeen, who is believed to have posted the viral video showing the Inspector General of Police, Ibrahim Idris, struggling to read a speech at a public event in Kano, has gone into hiding. Punch reports that the Kano State Police Command invited the reporter to its office immediately the video went viral. The video, shows the IG struggling to read his speech at the inauguration of the Police Technical Intelligence Unit in Kano, Kano State on Monday. Nurudeen’s whereabouts had been unknown since the Kano State Police Public Relations Officer, SP Musa Magaji Majiya, invited him on Thursday. Authorities are upset with the journalist because he had allegedly disobeyed a directive by the Kano State Police Command to journalists present at the event not to report the IG’s blunder or make the video public. In a chat with Punch, a source said, “He (the IGP) has however ordered an investigation into the leakage of the video but we are watching to see how he intends to deal with the individuals behind the viral video without further embarrassing himself and the force”. Also, detectives are allegedly using the police technical platform to track the original source of the video on social media. Idris, in an interactive media chat on the police Twitter handle, Nigerian Police @PoliceNG #Askthepolice, had also told Nigerians that the video was doctored. “Yes, it was doctored,” he said in response to a question from a Twitter user.